← What’s a Restaurant Without a Printed Restaurant Menu! When operating your business, you want to look professional. From your business cards to the sign outside your door, all of these advertising mediums should portray your business image and your brand in a light that works best for your business and generates leads. Don’t forget about your stationary. If you send printed invoices to companies, you should include your logo and business name and address on your invoice. It will speed up the billing process if these are pre-printed and loaded into your printer ready to go. No one will mistake which invoice is yours or what company it comes from. What about letter head and envelopes? Good quality paper with the correct weight is vital. It portrays a company that means business and is serious about their intensions. Korum Services can help you pick the right paper that fits your needs and our in house designers can sit down with you and help design the right logo and graphics for your stationary. Your letter head is direct communication with other companies and should represent you in everyway. There are a few key simple rules that you should stick to when designing you stationary. The logo needs to be simple, easy to read and well designed. Your company brand should be easily identifiable and not lost in a complicated design. If you only use the letters in your logo and not the business name then make sure to put all your contact information some where else on your letter head may be at the bottom of the page. This would include your address and telephone number. There are many times when you want to correspond with a business and call them only to find that there is no phone number on the paper work that you have. Make sure to put all your contact information on your stationary so that it is easy for a potential client to contact you. Your graphic, font and colors chosen for your design should make your business logo and brand stand out from the rest of the crowd, be exciting and visually stimulating. Stationary just like business cards or any other media that represents your company should not be overlooked and it is worth the time and effort to get it done right. This entry was posted in printed stationary and tagged digital printing, Korum Services, printed stationary, printing, stationary. Bookmark the permalink. Why is a Logo Important? What Are Silk Business Cards? 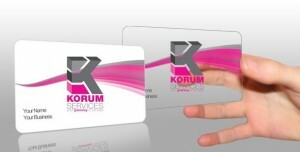 © Copyright 2010 Korum Services. All Rights Reserved.